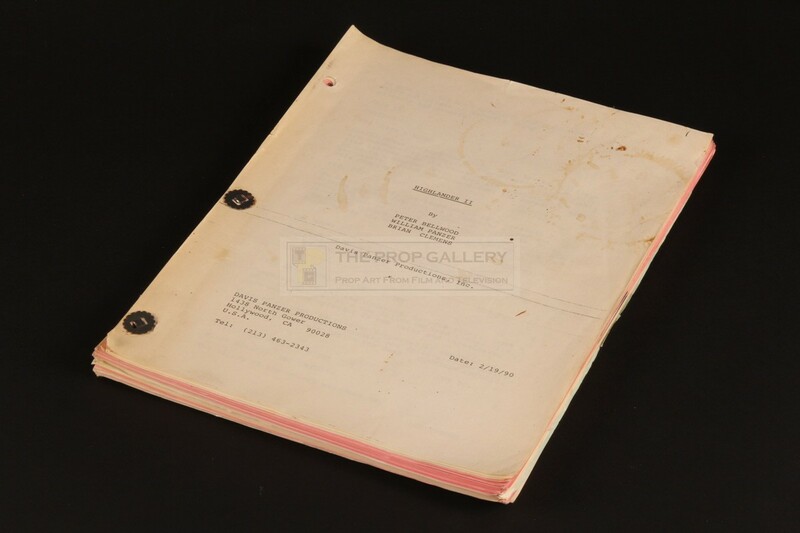 An original script used in the production of Highlander II: The Quickening, the 1991 sequel starring Christopher Lambert. 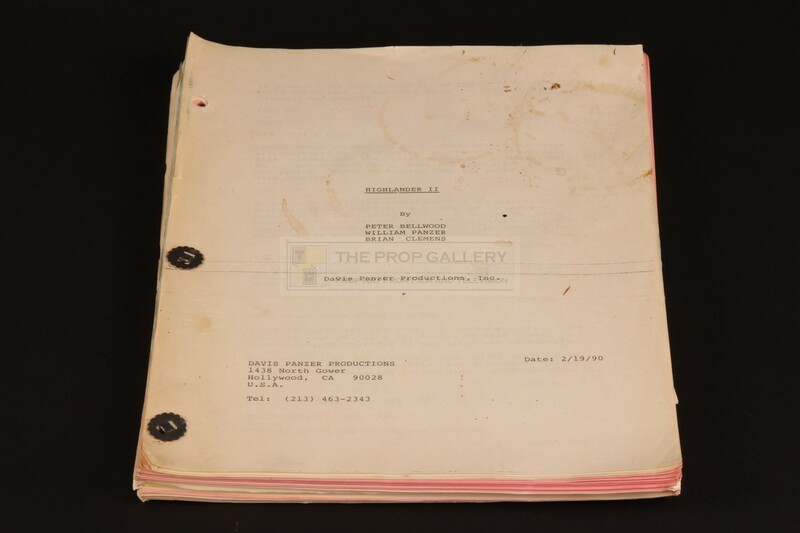 This original production used script is dated 2/19/90 and comprises of approximately 110 pages with the cover bearing the title 'HIGHLANDER II' with credits to the writers and production company. 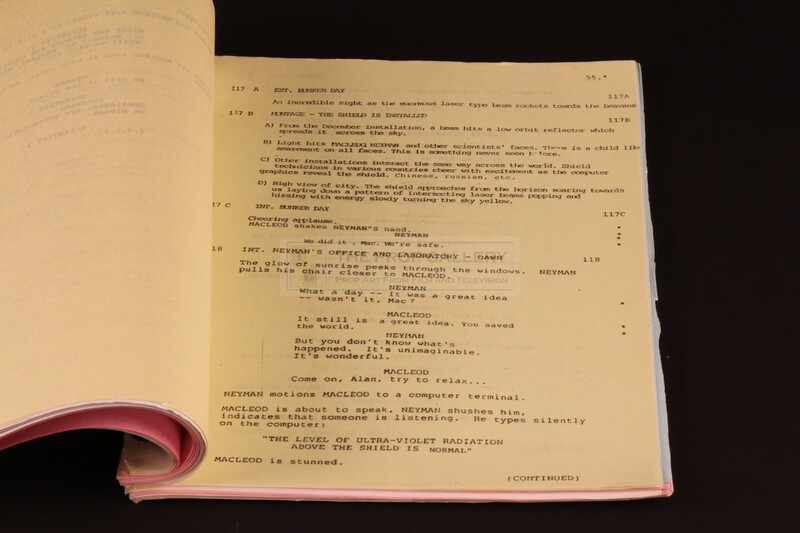 The script features a large quantity of coloured revision pages throughout in pink, blue and yellow with several of the former dated 4/16/90 and is accompanied by a call sheet for Monday May 14th 1990 and a page of hand inscribed notes of hotel stationary relating to the script. 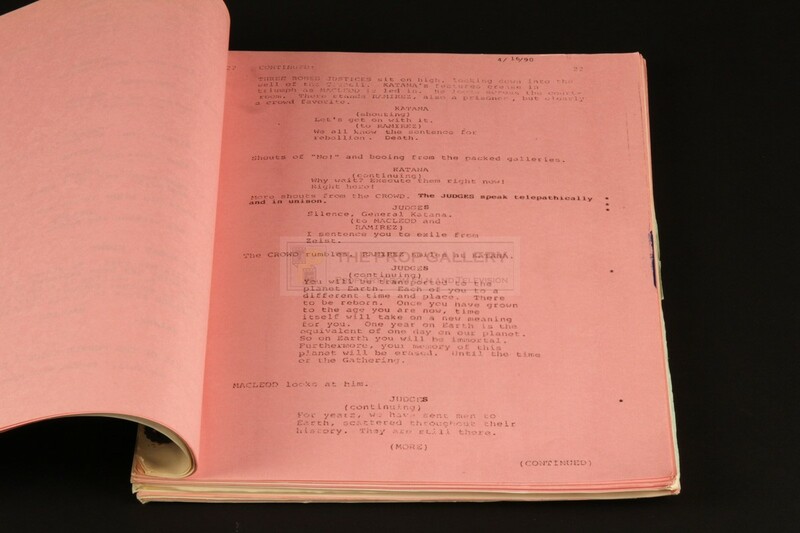 The script remains in excellent production used condition exhibiting some edge wear from use and handling with minor staining to the cover and lacking one binding pin, accompanying paperwork in good folded condition. 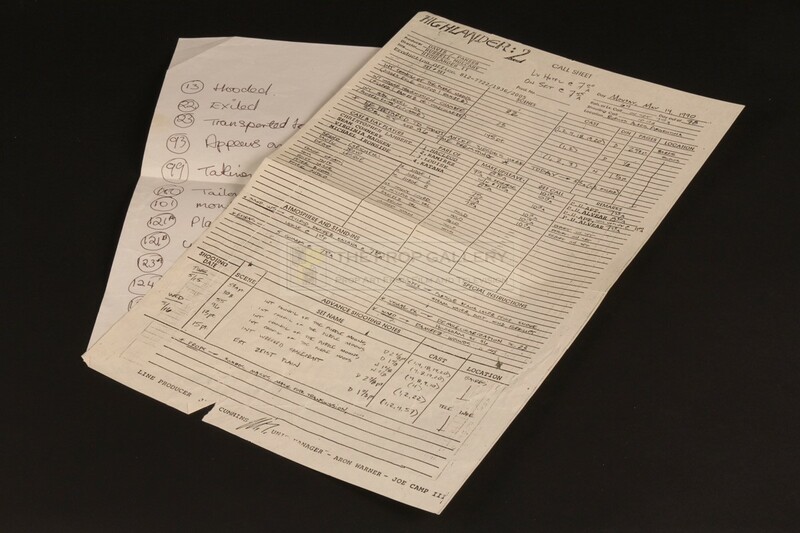 A fine example of original material from the production.